Website design Smithfield VA | When Advanced Builders wanted a new business website, they were not sure what to look for in choosing the right website designer. After reading our Top reviews on Google Advanced Builders choose VISIONEFX. They knew that VISIONEFX understood the contracting business with respect to our large portfolio of contracting related websites. 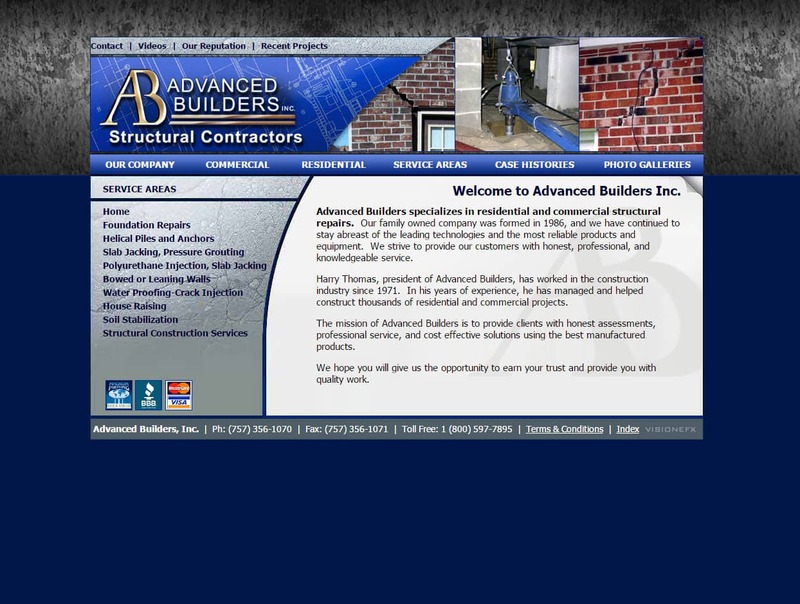 Advanced Builders also wanted to have a website that does well over Google when customers search services for foundation repair and slab jacking. The end-result was a richly textured website design filled with images, pages of content and videos; all ranking in the top 10 of Google. When searching ‘Website design Smithfield VA’ look no further than the web design experts at VISIONEFX.